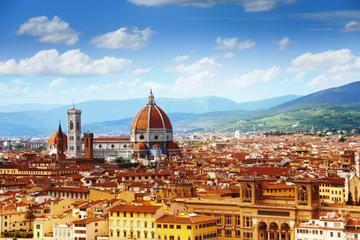 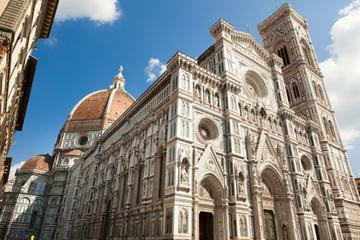 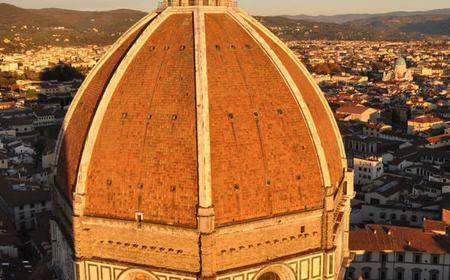 Soaring high above the city skyline, the Cathedral of Florence, Duomo Santa Maria del Fiore is the fourth largest cathedral in the world. 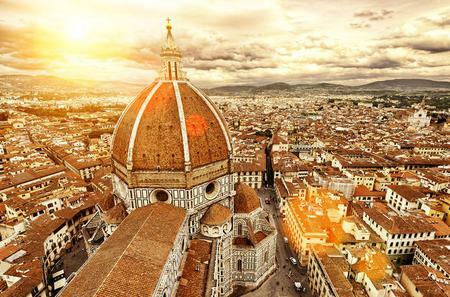 Soaring high above the city skyline, the Cathedral of Florence, Duomo Santa Maria del Fiore is the fourth largest cathedral in the world. 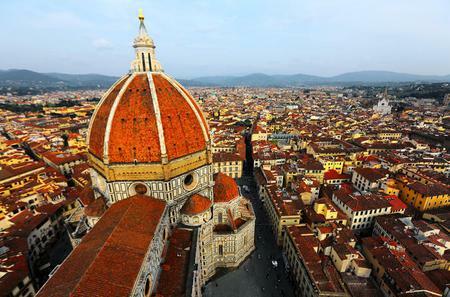 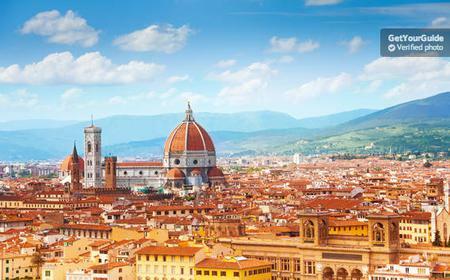 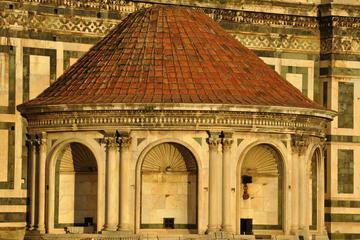 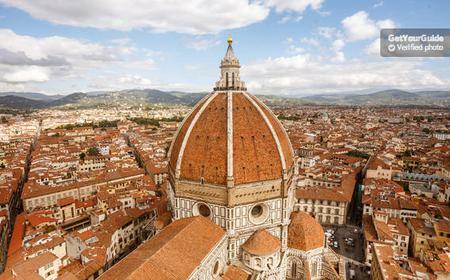 Completed by Brunelleschi in 1436 after 150 years of construction, the splendid red-tile terracotta dome with intricate interior frescoes is an architectural marvel, and offers stunning views if you can climb the 450 steps to the top. 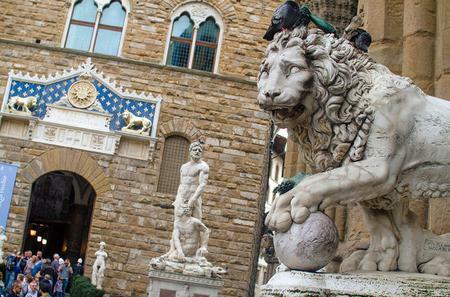 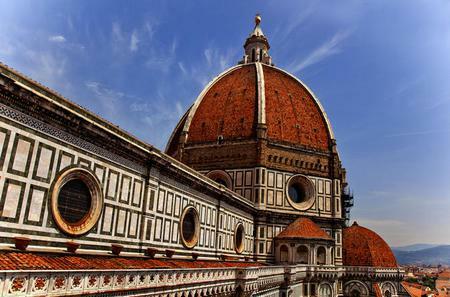 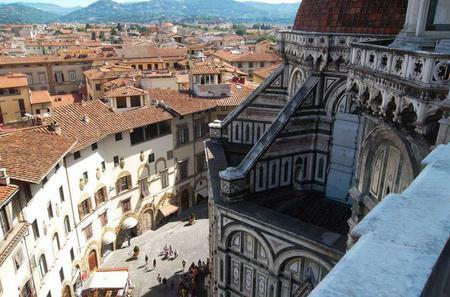 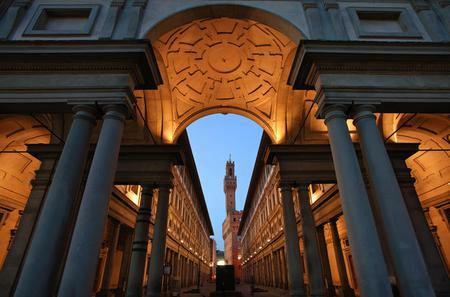 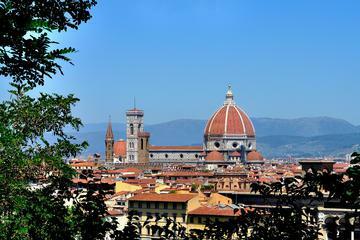 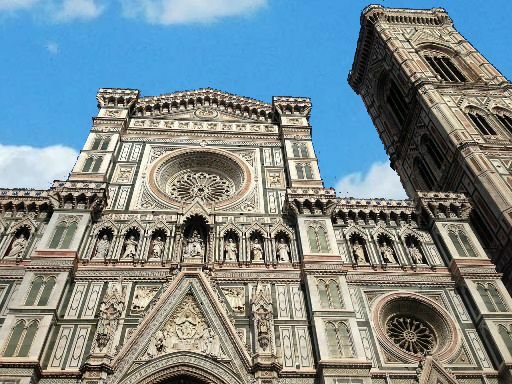 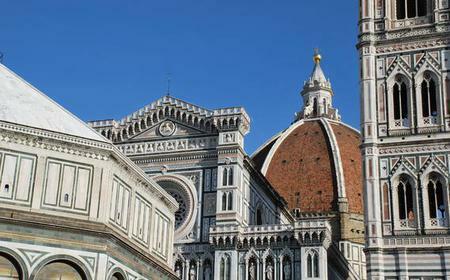 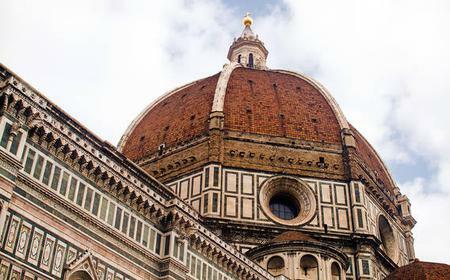 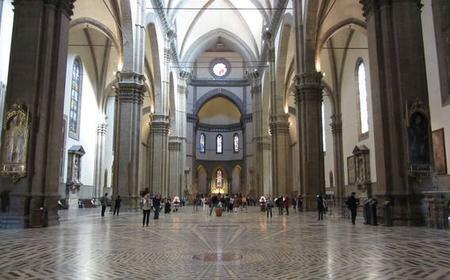 A guided tour will apprise you of the history of the Cathedral and take you around the Baptistery of St John, Museum of the Works of the Cathedral and Brunelleschi's Dome, after which you can climb Giotto's Campanile for breathtaking views of Florence.